Eureka Springs photographer Susan B. Storch. 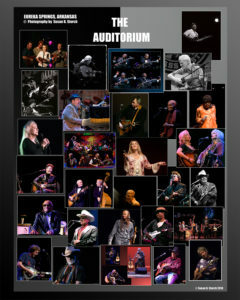 This is just a small example of the artists that have graced the stage and of the photos displayed in the lobby. Many thanks to Susan for her love of The Aud, music and preservation of memories.